I hate to use the term superfoods (eye roll) but I was thinking about all the lovely food we are blessed to be surrounded by this time of year and that I associate with Christmas. I thought I'd share some of their health benefits as well as recipes that my family enjoy this time of year. Christmas is associated with the start of the cherry season. Cherries are a rich source of antioxidants and polyphenols. Antioxidants clear the body of damaging free radicals and they are most effectively acquired through diet. Cherries may benefit people suffering from chronic inflammatory conditions such as gout, pancreatitis, or prostitis, as well as allergic conditions including asthma, hay fever, eczema and hives because they contain the compounds cyanidin and quercetin. Tart cherry juice has been shown to improve sleep and may accelerate post-workout recovery, increase overall training capacity and enhance performance in races by reducing muscle pain. I tend to just eat my cherries rather than cook with them because I can't face de-pitting them! It wouldn't be Christmas without a platter of prawns. Prawns are a great source of lean protein plus they are a good source of omega3 fatty acids. Omega 3 fatty acids contain anti-inflammatory properties which can reduce the risk of heart disease and arthritis symptoms and are believed to reduce the risk of developing some cancers. 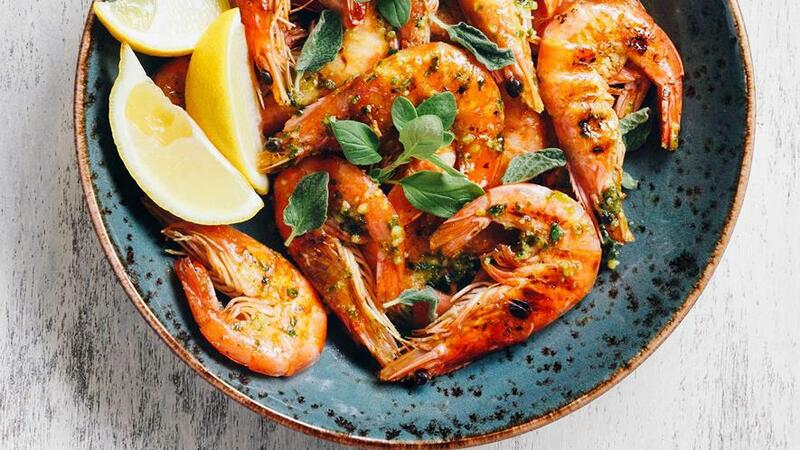 Prawns are also high in some important vitamins and minerals such as selenium which is important for thyroid health and copper for energy production. For a long time it was assumed that cholesterol in prawns became cholesterol in the blood. However the omega 3 fats in prawns lowers your LDL (bad) cholesterol and increases the blood content of (good) HDL cholesterol. So enjoy those prawns - and see if you can get someone else to peel them for you! Mangos are loaded with antioxidants - vitamins A, C and E, plus phytonutrients that have been shown to have anti-cancer properties. The prebiotic fibre in mango keeps your digestive system healthy by providing fuel to the good bacteria living in your gut. Again another food I like to have fresh or as a recovery smoothie after exercise - blend a mango cheek with 1/2 a frozen banana and some coconut water and a big dollop of greek yoghurt. Cinnamon is prized for it's health properties - in particular it appears to regulate blood sugar control. I add cinnamon to my muesli, my granola plus if I'm roasting sweet potatoes, a sprinkle of cinnamon on top is delicious. Of course lots of other lovely spices like cloves and ginger are associated with the holidays and are linked to improved memory, reduced stress, or improved sleep. 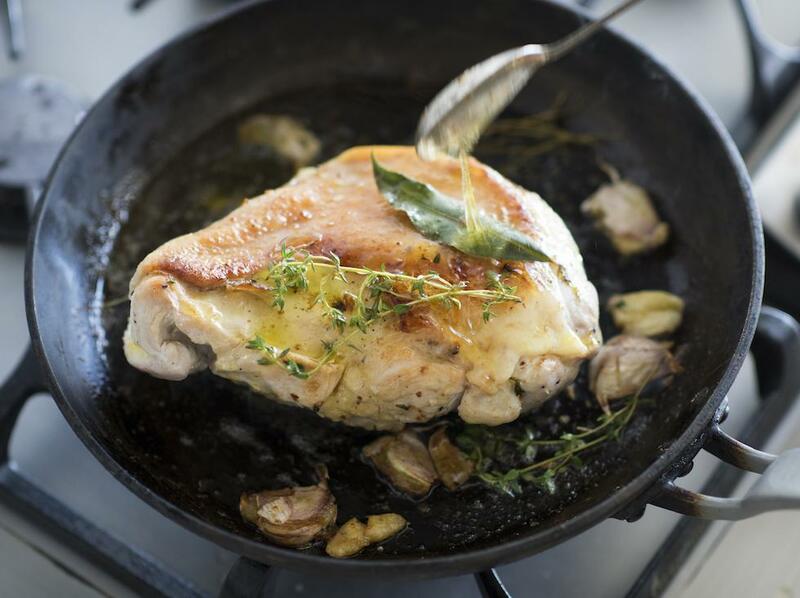 Turkey is a rich source of protein, and if you remove the skin - a lean protein. Turkey is a source of iron, zinc, potassium and phosphorus - all of which are needed for immunity. It's also a source of vitamin B6 and niacin which are both essential for the body's energy production. Turkey contains the amino acid tryptophan, which produces serotonin and plays an important role in strengthening the immune system. It is also a source of selenium, which is essential for thyroid hormone metabolism. A whole turkey is too much for my family to get through - we like a marinated turkey breast like this one. Loaded with antioxidants, vitamin C and vitamin E to boost the immune system and full of fibre, pomegranate seeds have been shown to fight cancer, improve memory, reduce inflammation, lower blood pressure and reduce heart disease. It is no wonder they were portrayed as a healing fruit in the Bible. I deseed my pomegranates by cutting in half, then whacking with a wooden spoon over a bowl. Looking for a non-alcoholic drink? Try this Pomegranate, ginger and lime cooler. 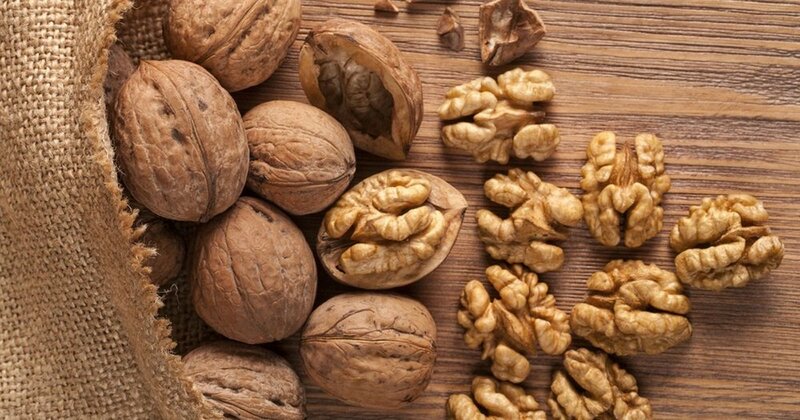 Walnuts are thought of as brain food - and look a bit like the brain, too. Enjoying a handful of nuts (30g) regularly may reduce your risk of heart disease and type 2 diabetes and help with weight management. Over christmas we keep a bowl of walnuts in their shell out with a nut cracker - the kids love them! My granola recipe and my muesli recipe both contain walnuts, plus I love them in a rocket salad with a few craisins or dried blueberries. My mum is a pescatarian so I always include some smoked salmon at Christmas for her. Smoked salmon is a rich source of essential omega 3 fatty acids for heart health, cancer protection as well as healthier skin and hair. However, do remember that it is high in salt, so watch your portion size. 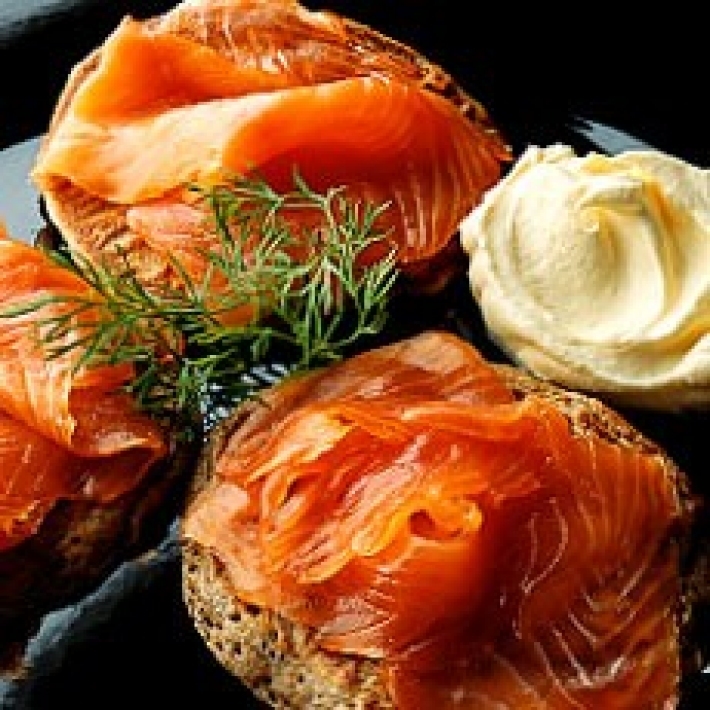 I like to serve smoked salmon on buckwheat blinis with a little cream fraiche. When the CDC ranked vegetables by nutrient density watercress came out on top. Take that kale! Watercress is full of dietary nitrates to reduce blood pressure, and vitamins K, C and A. Here's the Watercress, almond and pomegranate salad that always graces our Christmas table and gets trotted out at BBQs as well. I cut down the sugar in the dressing and sometimes use lemon instead of lime juice. You have to leave a carrot out for Rudolph on christmas eve, so you may as well buy a bag! We're experiencing a carrot glut at the moment in Australia so you will also help out the farmers. Carrots are a great source of dietary fibre, manganese, magnesium, folate, potassium and phosphorus. My bun cha bowls use plenty of grated carrot and are perfect for those lazy summer nights when you need something a bit lighter. I also plan to include Ottolenghi's roast carrots with tahini at this year's Christmas table for my vegetarian sister in law. Watermelon couldn't look more Christmas-sy if it tried! 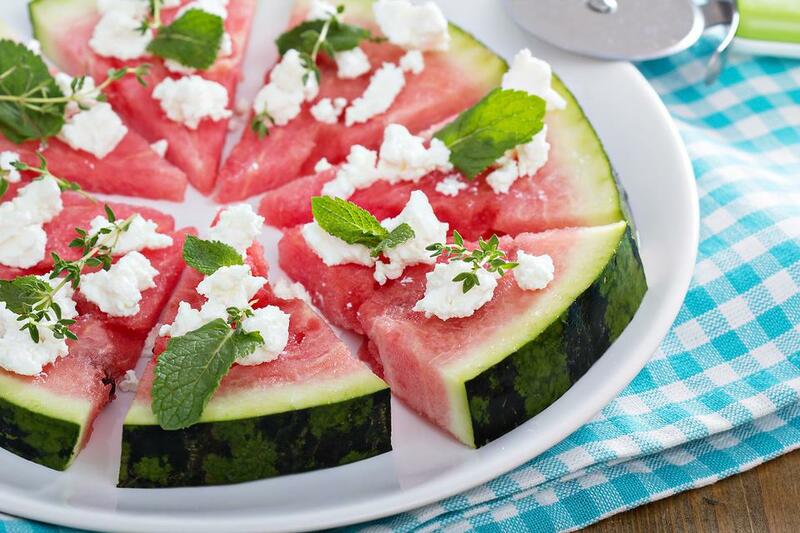 It is more than 90% water so super hydrating and contains potassium, magnesium and vitamins A and C. I like the idea of serving a watermelon pizza for an entree and we will definitely be enjoying my watermelon and pomegranate salad with whipped feta on Boxing Day. At their best now and packed full of the antioxidant lypocene which has been linked to many health benefits, including reduced risk of heart disease and cancer. We usually have a short glass of tomato gazpacho as a starter on Christmas Day while we unwrap the pressies. I'd love to hear about your Christmas super foods too! My favourite part of Christmas is sharing a meal with the people that I love. Food should be seen as part of the celebration - not something to feel guilty about. Include plenty of fresh fruit and veggies and some lean protein and use the time off work to schedule in a walk or run. Consider Mindful Eating over the Christmas break by making more conscious food choices, paying attention to how you eat, and practicing self-acceptance.